Work out at the gym sounds good but it gets boring in a few days, especially in winter and once you miss the routine you start putting weight. You need minor exercises to burn the fat that you consume everyday but how without a gym? The solution is simple, you do not have to pay those quarterly fees and waste them on those fancy equipment. You can stay fit even by doing some exercise at home and can make it even more exciting by adding some music to it. Seems out of the topic, here you need to step out of the house but somewhere nearby would be good. Put your sport shoes that are comfortable enough and get going. Flight of stairs at home can also be helpful, grab some weight if possible. Two bottle of one little water can solve the purpose and you are sure to burn some calories. This is something that everyone has been doing in school, it does take back to your memories but it has always been fun. 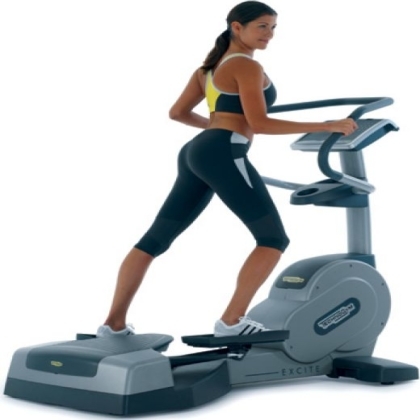 The best thing about it, it is a perfect cardio exercise and a warm up before you move towards intense exercises. You can start doing this anywhere in the house with enough space to stretch your arms properly. Try doing for 10 sec then rest for 10 second, keep increasing by 10 seconds with same amount of rest till you reach 30 seconds and then in reverse order. If you have a jump rope, perfect but in case you do not have that you need not to worry. You just need to imagine that you have one and start jumping the rope. Start with an upright position and your feet apart at least shoulder width. Put your hands on the sides just the way you hold a rope and start jumping with all your weight on the toes and your hand moves in circular motion. Keep repeating till the time you feel the stress in your calf muscles. Not at all a favorite but still you can give it a try, it’s all about burning the fat so try for a bit and try making it exciting. You do not have to behave like a body building so do what suits you the best. There is no need to try doing it with one hand, if you can do it else be on your knees if keeping your legs straight troubles you. The easiest way is you do pushups against a wall, this way you build arm strength. This is a very effective exercise that tones and firms your body and especially your legs. 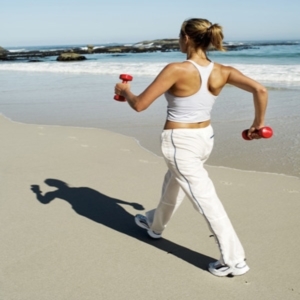 It improves the muscular endurance for which you need to stand in lunge position with your right foot in the front. Do not forget to put your hand behind your head. Now you need to change you legs and you do that mid air with a jump. Repeat this 10-15 times and that would more than enough to burn a lot of calories. This is an interesting exercise to buildup abdominal strength. The relaxing part is you need to lie on the floor with your back at ease on the ground. Start with lying straight and your hands at the back, try lifting your head until you feel the stretch in your abdominal. Breathing plays an important role here, try exhaling when you lift up and inhale while going back you normal. 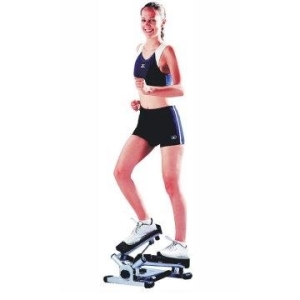 This can be fun with some loud music and it does burn a lot of calories, all you need is the bottom step of your staircase or a sturdy box strong enough to take your weight. Start with your right leg, you need to step 12 times, step up and step down. Switch to your left leg now, this would be a great cardio but if you get bored you can try sides to sides. Keep stepping with alternate legs and enjoy it to the beat of the music. Jogging is good to increase your heart rate and that is when you burn fat. You do not have to step out of the house, stand in front of your television with some news channel or music on and keep jogging at the very same spot. All you want is a pair of shoes so that you do not hurt your legs. Choosing the right shoes is also important, it should have a good base to give support to your ankles. No, this is absolutely not to make a body builder out of you. You just need few weight that will tone your arms and you can make use of them in the other exercises mentioned above. You can even find the weights that are used in the gym and are not too expensive but if you do not want to invest there, try picking two similar things of exact weight. Arm stretching, stair climbing, stepper etc can give you extra results with weight but do not lift anything heavier and be careful with your back. A wonderful exercise for your buttocks and legs. Best way is to hold your hands together, stretched in front exactly parallel to your chest, stand upright with your legs little wide apart and sit at your knee length. Come back to your original position, you can try doing on a regular hair and you will feel the difference every time you sit and stand. Try doing the repetition as long as you can bear it. There is nothing better than dancing. It brings life back to you. Get into the mood with some good music and do whatever you feel like. What we are trying to do here in increase your hearth rate and dancing does it all. Try it alone or with your friends, lift up the spirit as it will be good for your heart and your body as well.